Due to a massive recall on air bags, affecting car manufacturers everywhere, Resource-One began researching a way in June 2017 to find a way to dispose of unused and recalled air bags in the most environmentally-friendly way. Air bag inflators are considered explosive devices and regulated by the ATF, and air bag modules are typically considered hazardous waste by the EPA. Resource-One obtained ATF permits by September of 2017 and began designing a proprietary underwater shredder that same Fall. In February of 2018, R1 obtained the necessary EPA exemptions. 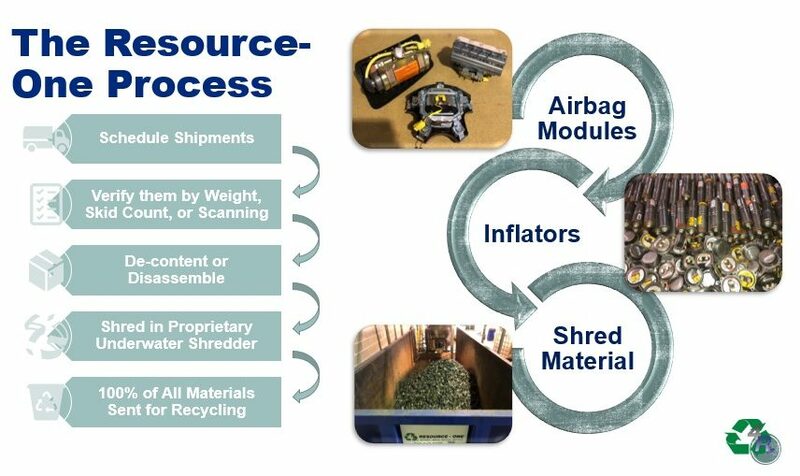 In March of 2018, the underwater shredder allowed Resource-One to be the first in the country to find a solution to the air bag problem and 100% recycle every part of the air bag modules, including the inflators. As of March 2019, over 600,000 modules & inflators have come through Resource-One’s doors since the program began, and R1 is posed to DOUBLE capacity by Summer of 2019. Solvent reuse is one of the best ways of seeing material as a by-product rather than waste. The solvents used to clean materials or equipment within your facility are collected after use, then labeled and managed as a product. Resource-One transports the non-hazardous product where it is used as-is in the cleaning of rail cars. The spent material from this cleaning process is then collected and used as fuel in cement kilns. 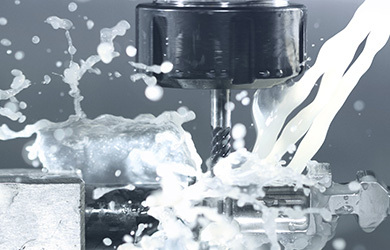 Solvent reuse programs extend the life materials, reduce hazardous waste, and are ISO 14001 approved. Another great way to reuse materials is as energy. Often items that cannot be recycled and may be questionable for landfill can be used as fuel. Non-hazardous materials are placed into onsite collection containers provided by Resource-One. The containers are picked up and transported to Resource-One for bulk solidification. The bulk roll-off non-hazardous waste is shipped to a waste to energy facility where it is used as fuel in boilers to provide steam power for metropolitan areas. 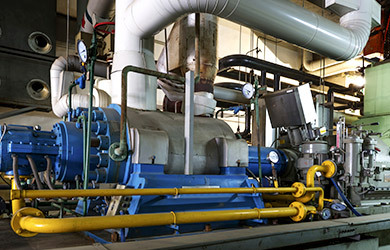 Waste to energy programs reduce company risk and liability and are ISO 14001 approved.